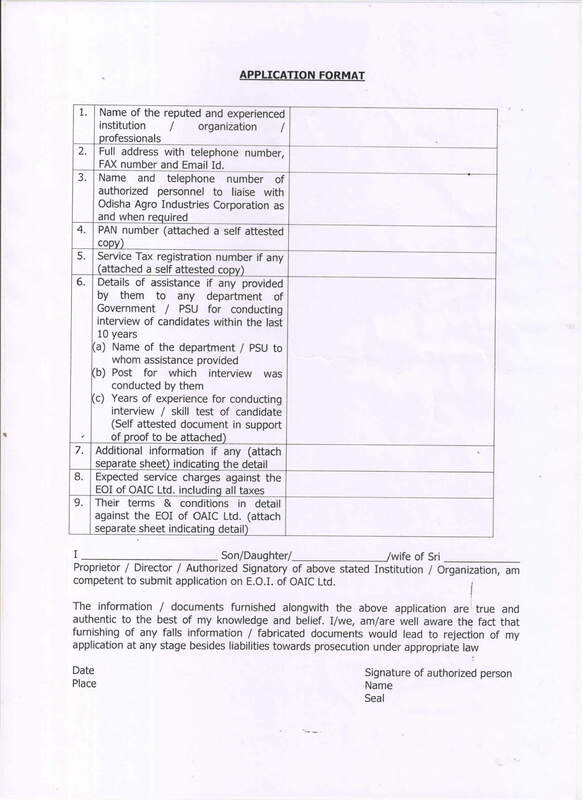 Application form for reputed and experienced institution/ organization/ professional for conducting interview. 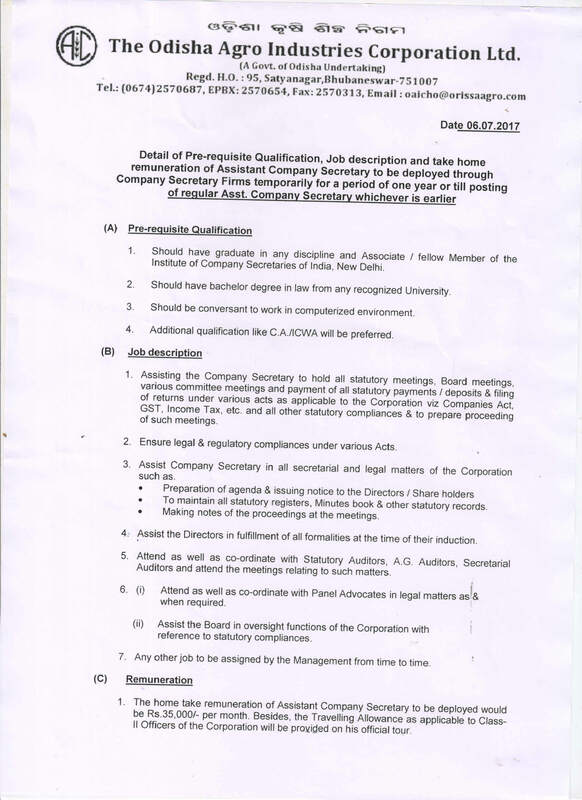 FORM FOR PP CHEMICALS 2017-18. 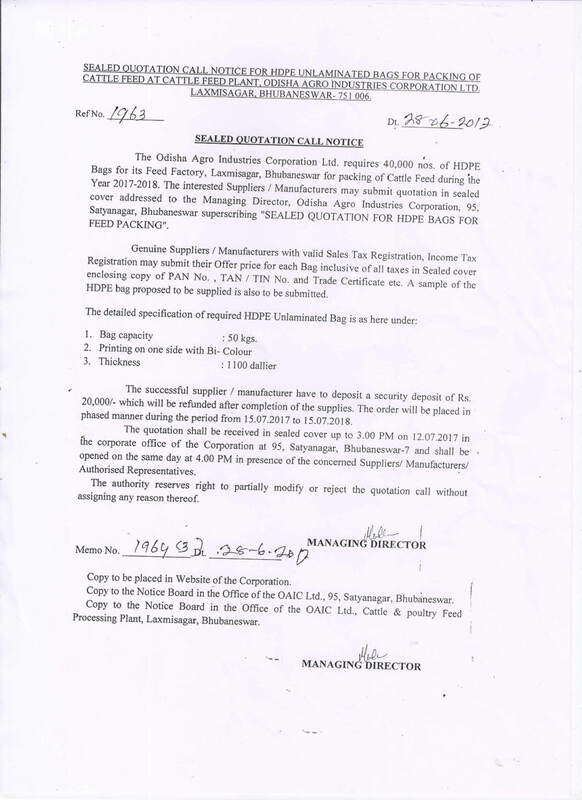 Sealed quotation call notice for Transportation of Cattle Feed for Cattle Feed Plant, OAIC. 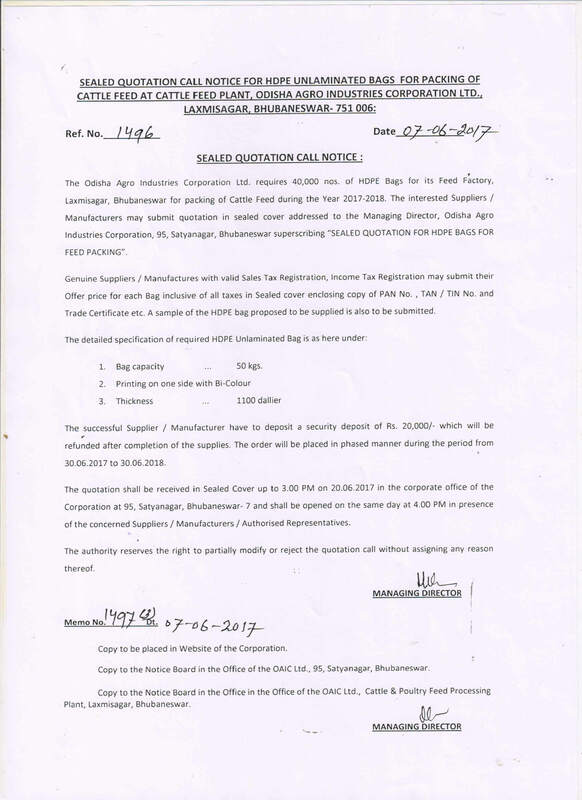 TENDER FORM FOR SUPPLY OF UDDED ROSE. 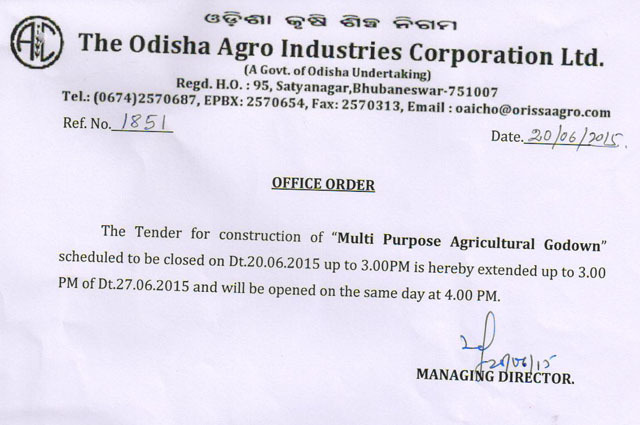 Tender for supply of Certified Groundnut & Green gram seeds during Rabi 2015-16. 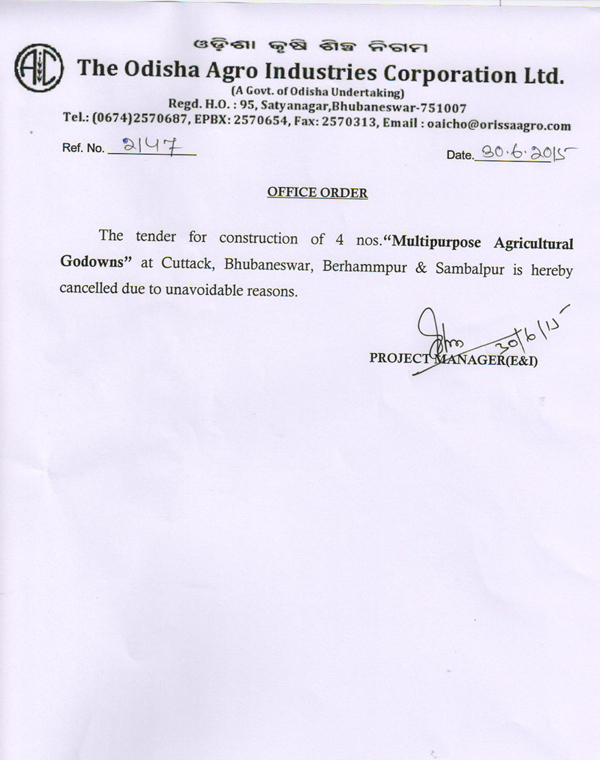 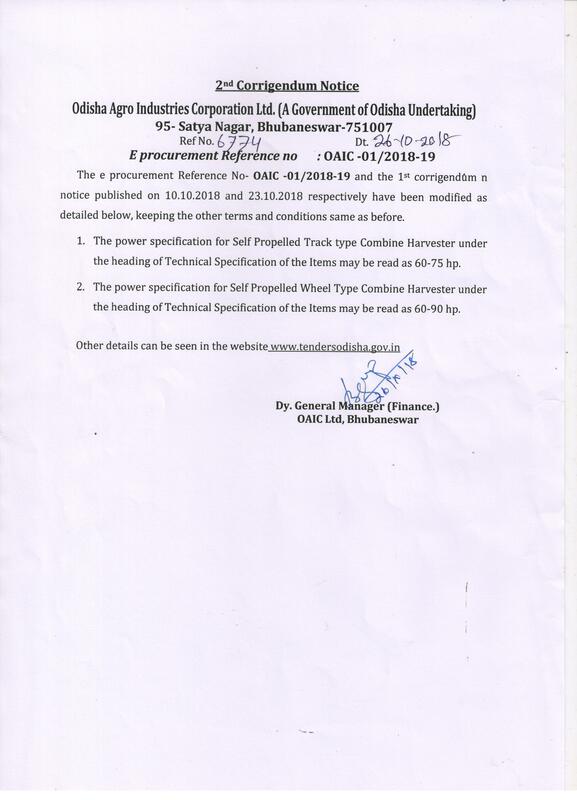 Tender call Notice for construction of Multipurpose of Agricultural Godown. 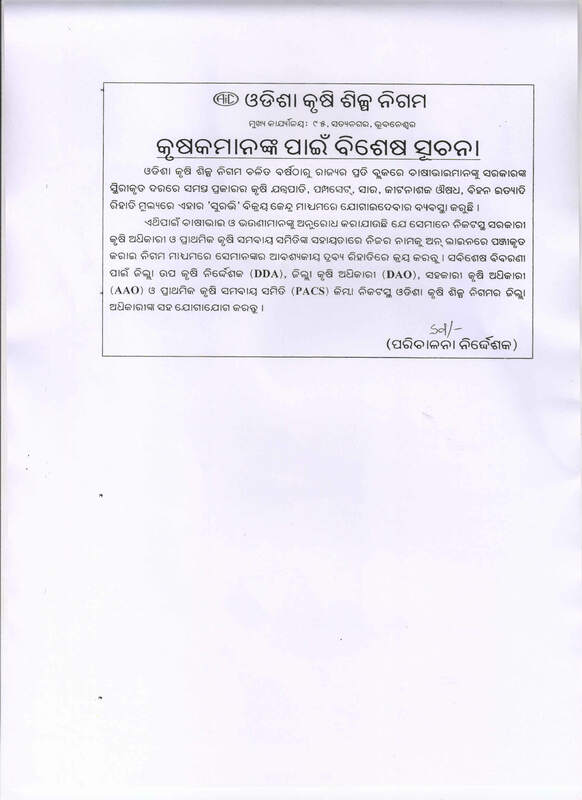 SHORT TENDER FOR PAPER MILL SLUDGE FOR 2015-16. 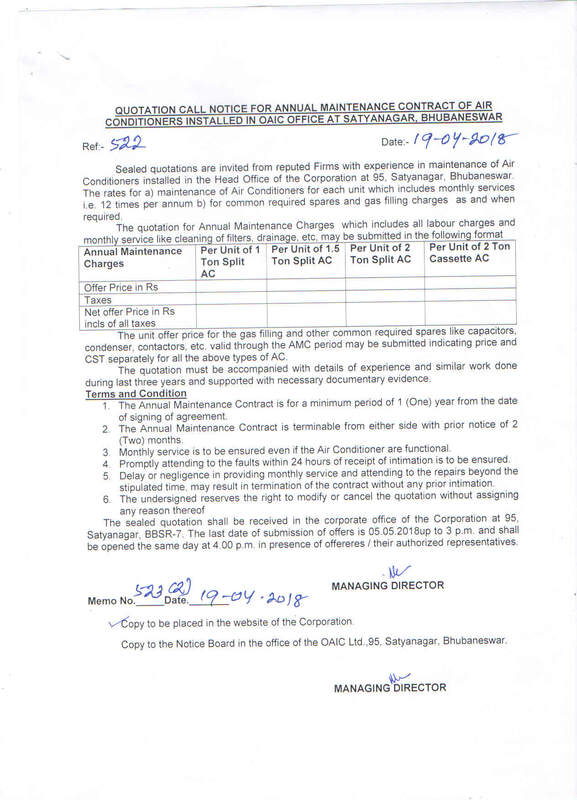 TENDER FORM ON SUPPLY OF PMS FOR 2015-16.